Brahma Sutras or otherwise known as Vedanta Sutras is one of the most important philosophical treatises in the history of India. 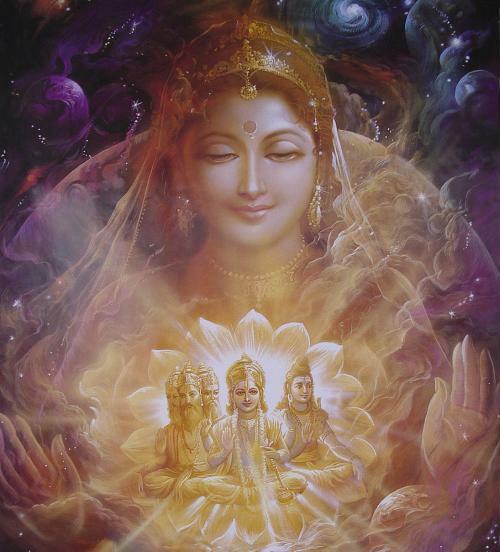 Brahma Sutras summarize and systemize the vast knowledge of Four Vedas, which was later expressed in Upanishads, in 555 concise aphorisms (Sutras), grouped according to 223 topics, in four chapters (Adhyayas) and 16 sections (Padas). The author of Brahma Sutras is believed to be an ancient sage Badarayana, who is believed to be actually Shri Vyasa, the immortal sage and author of Mahabharata, himself. Generally speaking, Brahma Sutras reflect the same ancient truth that the root cause of all human sufferings and miseries, births and deaths, is the wrong threefold self-identification with body, senses or mind constructions. While Vedas, Vedanta Sutras and all religious traditions are describing something that is beyond of all of that, beyond all our ordinary experiences, what is called Brahman or God and what can be learned by illusioned person only through scriptures and later recognized in deep inner experience, called ‘religious practice’. Vedanta is not mere speculation. It is the authentic record of transcendental experiences or direct and actual realisations of the great Hindu Rishis. The concise aphorisms of Brahma Sutras may seem difficult to understand without a profound insight into the reality of existence. Many realized teachers have written commentaries and interpretations on them and thus often have created many more spiritual and philosophical traditions, all of which stem in the Vedas, but reflect different views on the same truth from different viewpoints and for people with different psychological tendencies. If Universe will be beneficial, I hope you will find some commentaries here later; but I know through my own experience, that reading complicate philosophical texts may be difficult, if they are fragmented in the ocean of commentaries, while there is no clear picture of the original text itself. So I am providing the original text of Brahma Sutras by Badarayana itself first and for easy reference later. In the First chapter (Samanvayadhyaya) the universal soul, Brahma, is described and various methods of thought to conclude about its existence and what Sacred Scriptures tell about it. The Second chapter (Avirodhadhyaya) disputes views and arguments of other schools of thought and refutes them. To understand well this part it is assumed that you are familiar with all other traditions of Indian classical philosophy, as Sankhya, Nyaya,Yoga, Mimaṁsa, Vaiseshika, Buddhism and others. Third chapter of Brahma Sutras (Sadhanadhyaya) describes various methods to attain Brahman (Sadhana). The forth chapter (Phaladhyaya) describes results after attaining unity with Brahma – light, bliss and various other results. 1.The enquiry into Brahman and its pre-requisites. 4.Brahman the main purport of all Vedantic texts. 5.Brahman(the intelligent principle)is the First Cause. 7.The being or person in the Sun and the eye is Brahman. 8.The word Akasa must be understood as Brahman. 9.The word ‘Prana’ must be understood as Brahman.